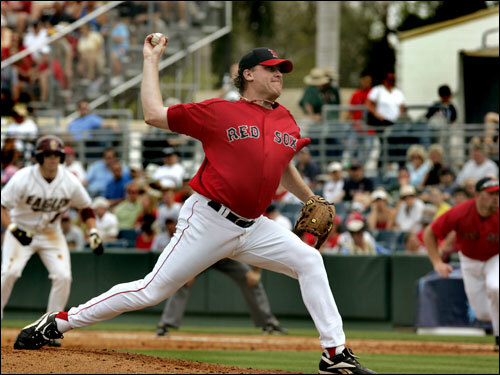 Curt Schilling pitches against Boston College during Friday's afternoon split squad game. In the background in Boston College's Jett Ruiz, who singled off Schilling in the 4th inning. Schilling pitched four innings in his first spring outing.